Umberto I or Humbert I (Umberto Ranieri Carlo Emanuele Giovanni Maria Ferdinando Eugenio di Savoia, English: Humbert Ranier Charles Emmanuel John Mary Ferdinand Eugene of Savoy; 14 March 1844 – 29 July 1900), nicknamed the Good (in Italian il Buono), was the King of Italy from 9 January 1878 until his death. He was deeply loathed in far-left circles, especially among anarchists, because of his conservatism and support of the Bava-Beccaris massacre in Milan. 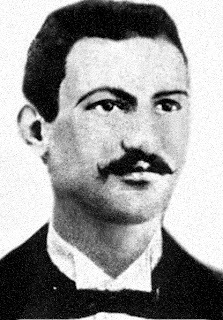 He was killed by anarchist Gaetano Bresci two years after the incident. 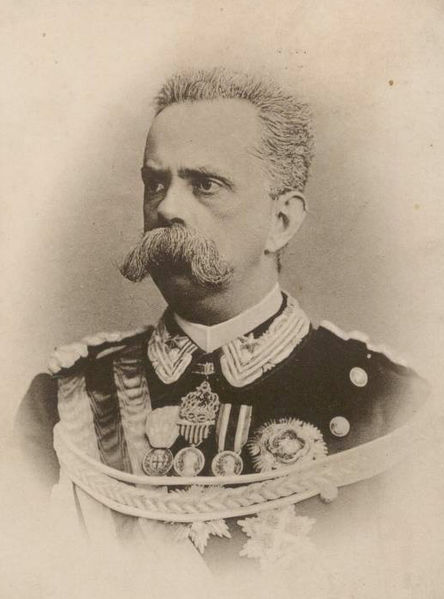 Crowned in 1878, King Umberto became increasingly authoritarian in the late 19th century. He enacted a program of suppression against the radical elements in Italian society, particularly members of the popular anarchist movements. Gaetano Bresci, who was born into poverty in Tuscany, immigrated to America in the 1890s seeking a better life. Bresci settled with his family in Paterson, New Jersey, and was employed in a weaving mill. The city was a hotbed of Italian American radicalism at the time, and Bresci became a cofounder of an anarchist newspaper, La Questione Sociale. Sacrificing his free time and scarce extra money to the paper, Bresci was regarded by his political allies as a devoted anarchist. He never forgot his countrymen back in Italy, and he read with horror of the events that unfolded in 1898. The crops were poor that year, and much of the peasantry was starving. Seeking a respite from their government, peasants and workers marched to Milan to petition the king for relief. King Umberto ordered the demonstrators to disperse, and when they did not, he ordered the Italian army under General Bava Beccaris to force them out of Milan. Beccaris' soldiers fired cannons and numerous rounds into the crowd, and hundreds were killed. When Umberto then decorated Beccaris for the military action, Bresci resolved that the king should die. Taking money from the newspaper without explaining to his compatriots why, Bresci traveled to Italy and in July 1900 finally got close to the king, who was making a royal visit to Milan. Umberto had already survived two attempts on his life, but on July 29, 1900, Bresci hit his mark, felling the king with three bullets. Bresci was arrested, found guilty, and sentenced to a life of hard labor at Santo Stefano Prison on Ventotene Island. On May 22, 1901, he was found dead in his cell, allegedly a victim of suicide.